Your move Mr O’Leary, your move. ETIHAD HAS STRUCK a deal to sell of its minority stake in Aer Lingus, further clearing the path for the airline’s sale to suitor IAG. The Middle Eastern airline, the third-largest in the region, has agreed to offload the 5% share it had built up in Aer Lingus as part of the proposed buyer’s €1.35 billion takeover bid. Chief executive James Hogan told Reuters Etihad was keen to maintain a relationship with IAG after the sale and the indications were that the buyer, a conglomerate that includes British Airways and Iberia, was interested in doing the same. Aer Lingus and Etihad struck a code-sharing agreement in 2012 which included the airlines cooperating on flights between Dublin and Abu Dhabi. The government last month agreed to sell its 25% share in the national airline after IAG agreed to maintain flights between Irish airports and Heathrow for seven years, and to add up to 635 jobs by 2020, among other promises. It came despite protests from opposition TDs that Irish staff would be cut as work was outsourced overseas under the deal. Left-wing independent Clare Daly claimed the main driver for the sale was satisfying the airline’s European and Middle Eastern shareholders. The deal values the government’s stake at about €335 million, while Etihad will get around €67 million for its shares. However the sale still hinges on what Ryanair will do with its near-30% piece of Aer Lingus. The budget airline has already been ordered by UK competition authorities to sell down its share to 5%, a ruling it has been fighting for two years. Ryanair previously launched several failed takeover attempts of the Irish flag carrier, while the aggressively-expanding Etihad was also once flagged as a potential buyer. Email “All eyes are on Ryanair as Etihad agrees to sell its piece of Aer Lingus”. 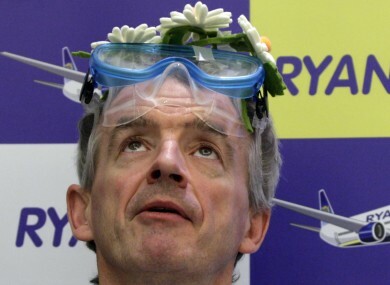 Feedback on “All eyes are on Ryanair as Etihad agrees to sell its piece of Aer Lingus”.